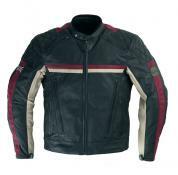 Go ahead and be a head turner with this supple geninue leather Kaw@saki jacket. 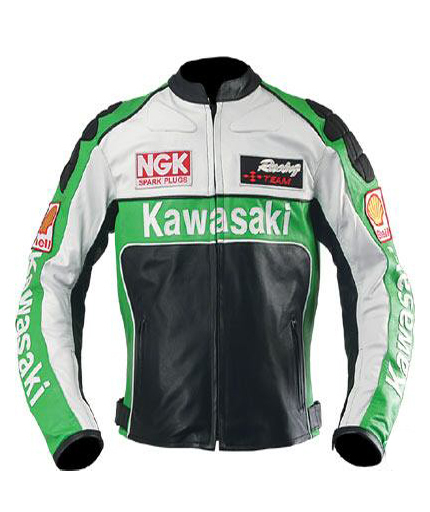 Powered with white and light green panel over the chest line, shoulder and arms, this jacket has completely stunning and sporty looks. The shoulder armours are meant for extra protection. 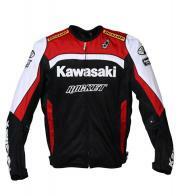 Simple mandarin collar, front zip closure, side slit pockets and adjustable waist makes it a superb biker jacket. Logo is perfectly placed over the green panel on the chest line and sleeves.